Remember when the computer printer wasn’t something you could just go and buy at Office Depot? 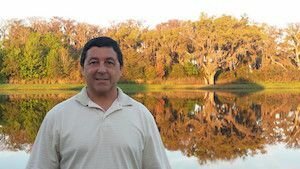 Nick Liantonio of Orlando, Fla. does – he grew a printer service and sales company out of his garage during these more complicated times into a hugely successful company. He was able to retire early and put business out of mind. He remained retired until the day his daughter got married and a concept crossed his path too good to pass up. His background as a successful business owner is coming in handy with the operations and sales. The nearby University of Central Florida Business School has also taken interest, welcoming him into their business incubation program, which Nick said offers substantial resources for a small business poised for growth. Already he’s had a chance to be a part of some great events, including partnering with CBS to be at the Food and Wine Festival in downtown Orlando, which drew a crowd of over 35,000. Nick’s coming at TapSnap with vigor and enthusiasm, and is enjoying a chance at building up another name.